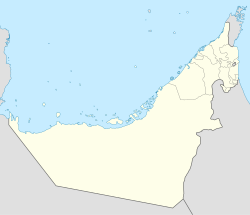 Mu'taridah is a remote mountain settlement in Fujairah, United Arab Emirates (UAE). ^ ""أذن" تاريخ تطرب له الجبال". Retrieved 2018-09-17. This page was last edited on 17 September 2018, at 12:14 (UTC).